The state museum of art was approaching a 100-year celebration and needed an identity upgrade. 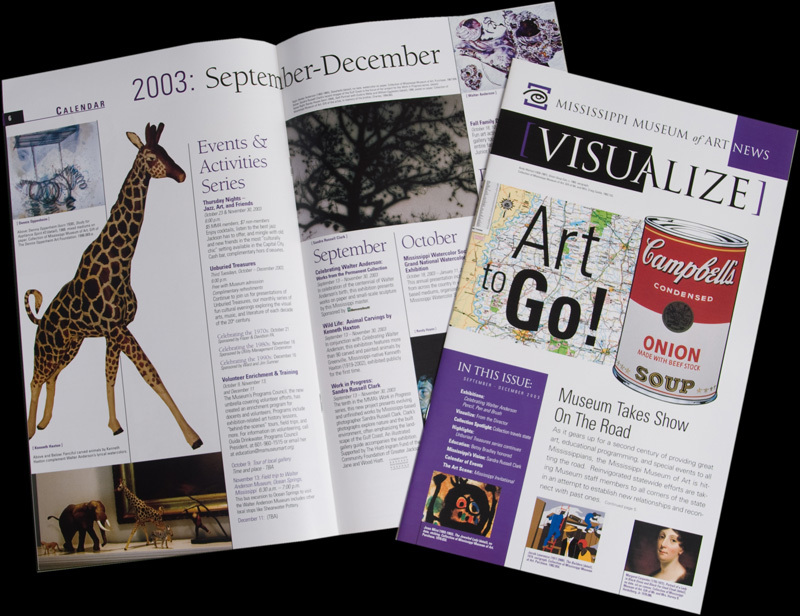 A new logo package and a dynamic quarterly publication helped frame the museum in its best light. Also shown is promotional work for an exhibition of amazing WPA era photographs by Pulitzer Prize-winning author and Jackson native, Eudora Welty. Imaginary named the exhibit and prepared all the related materials.